Cancer is a scourge of the modern world. Every person in Sri Lanka has been affected by the venom of cancer either as a patient or as someone who has lost a family member or friend to this dreadful disease. Touched by the personal loss of his sister to cancer, Nathan Sivagananathan and his friend and colleague Sarinda Unamboowe, who had pledged that if the civil war were to end he would walk the length of the country as his commitment to peace, the two joined forces to initiate Trail, a journey to unite the nation and collectively drive the nation's fight against cancer. 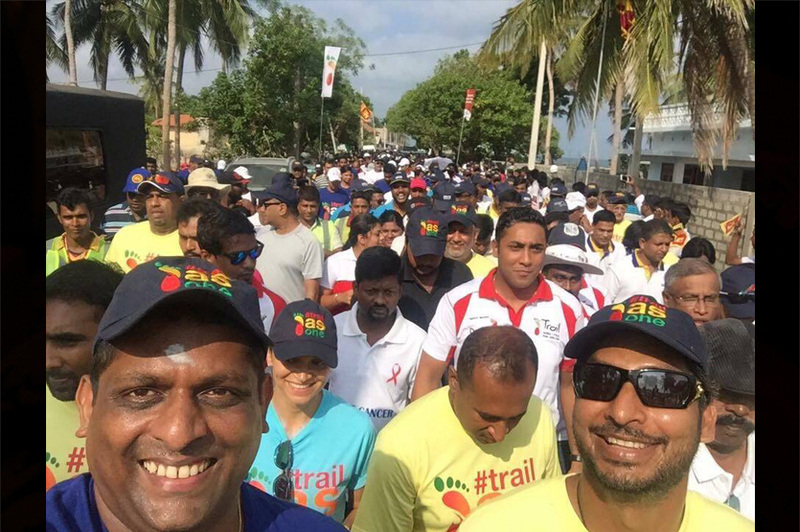 The first Trail which took place in 2011 raised enough funds to build the Tellippalai Trail Cancer Hospital opened its doors in 2014 and has since treated over 4,500 patients across the Northern, North Central and Eastern regions of Sri Lanka. Walking the length of Sri Lanka from Point Pedro in the North to Dondra in the South is no mean feat. 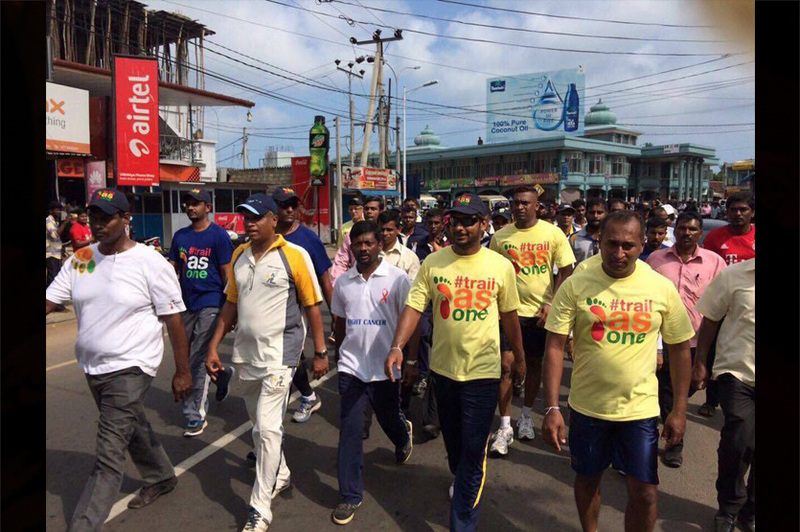 Over 28 days Sri Lankans of all hues and ethnicities will walk 670kms in their bid to raise funds in support of Trail 2016. Today is the 8th day of Trail. At 5AM walkers will set forth pounding the streets in the blistering heat till they get to their next destination in their valiant journey. Nursing a few blisters on his feat one of the protagonists of Trail Sarinda Unamboowe said "Seeing people come together to contribute, participate and support our cause has been an unbelievably rewarding experience.To see Sri Lankan rally together regardless of race, religion, caste or creed is what Trail is all about. Nathan the other protagonist added "During the walk, I am in pain daily. When I get a pain as I am in now, I think of a patient in the hospital who just went through chemo and that is what keeps me going." 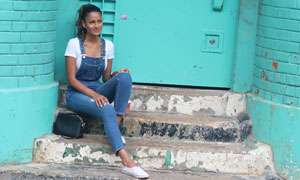 Mourning of the loss of her parents to cancer Sanjini Munaweera said "I took part in Trail in memory of my mum and dad, we lost them both to cancer earlier on this year. My mum battled cancer for over two decades, my dad for an intense six months. The trauma they went through will have a lasting effect on my siblings and me. Treatment days were especially challenging - watching someone you love going through so much you feel helpless at times. I was adamant to walk and to help raise some part of the funds and give someone a chance to fight another day. For the past few months I prepared myself by walking 8-10kms every other day. I am walking as a path finder hence its a three day session close to 70kms that I will be walking." Commenting on the experience Sanjini said "It's been a fantastic experience - and a great bunch of people keeping you company through the day... the heat gets to you that's the most challenging part of the walk. We set off around 5AM each day and meet so many lovely people along the way cheering us on and providing us with fruit, biscuits and drinks - it gives you the energy to keep going. For me personally it will help me though my process of grieving and I feel I have done just a little bit towards giving a cancer patient hope and a chance to fight another day!" 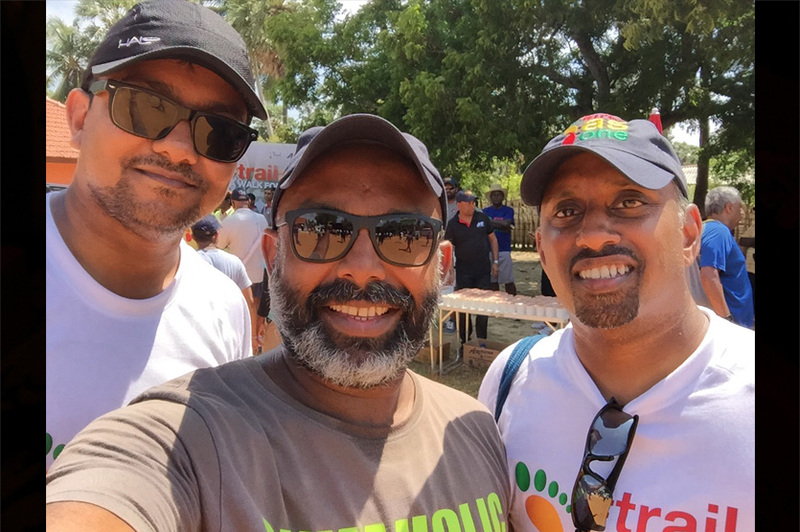 Taking part in Trail 2017 in memory of his father who lost his fight against cancer more than 40 years ago is the reason why Dr. Rasitha Wickramasinghe is walking as a pathfinder covering 66kms over three days. He has also been motivated by his wife Inoka who raised over Rs. 1 million to help a three year old child fight leukaemia 4 years ago. "This is an amazing way to fundraise. The walk has been incredible amazing and heartwarming. Kumar Sangakkara and Mahela Jayawardene have been real champions during the three days I took part in Trail. Seeing school children lining the streets, smiling and waving and doing high fives made the pain of walking go away!" added Rasitha. Having first walking one leg in Trail 2011, Rukmankan Sivaloganathan was determined to do the walk again in 2016. Walking as a path finder Rukmankan has already completed 66kms over three days and aims to do another 75km stretch later on. "It was tough going, more so due to the heat more than anything else. A lot of also helped raised money along the way by asking for donations, this helped break the monotony. Trail is absolutely brilliant. It is a great concept in abstract along, but its only when actually walk and talk to people along the way that you realise what an amazing idea it is. 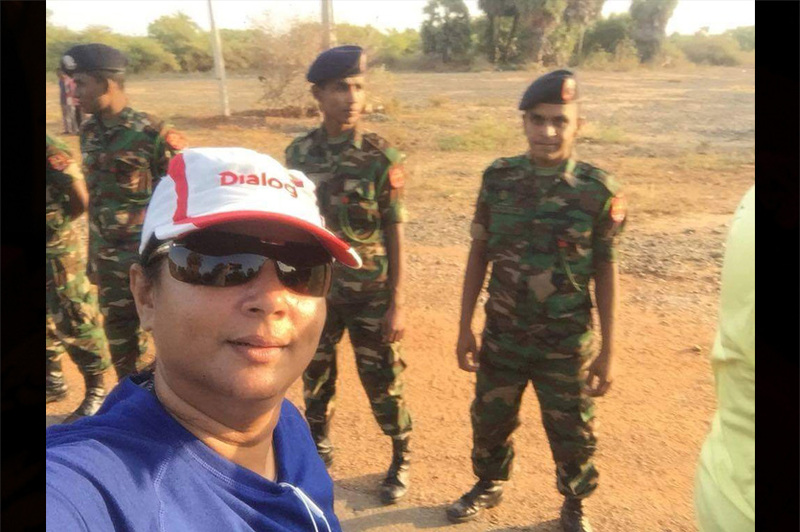 Parveen Herath is taking part in Trail for the second time. 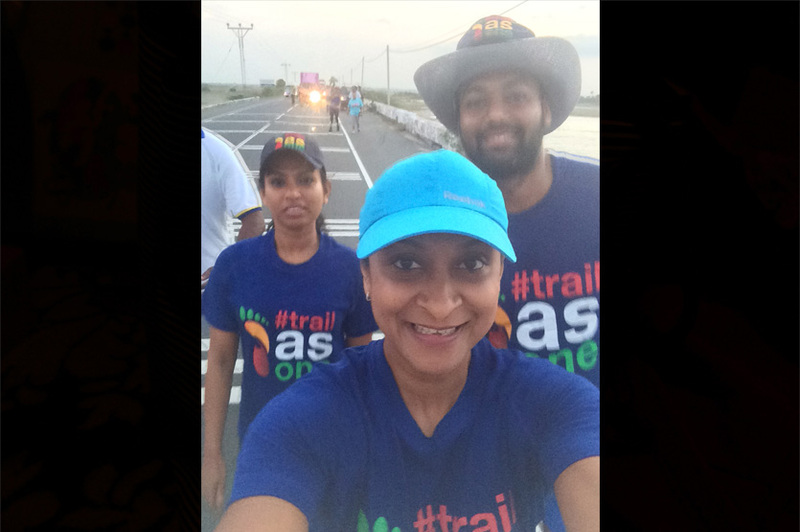 "The moment I heard about Trail 2016, I decided to be part of the journey. Trail unites the nation to fight cancer. It is a worthy cause to take part in. For me the walk is quite overwhelming as there is so much support and hospitality extended from people. Despite the searing heat, you don't feel the actual distance of the walk as we get a lot of cheering and support from the various people who line the roads. There is a blind person who is walking the full 670kmn and when I see his dedication I am so motivated. I dedicate each day of the walk to my father and all the other people who lost their lives to cancer. After taking part in Trail I have realised that nothing is impossible if you put your heart and mind to achieve it" added Parveen. Walking the entire 670kms is Eshan Tudawe who also took part in the first Trail. "I myself lost two of my favourite uncles, Uncle Mano and Rohan Wijeratne. Cancer doesn't discriminate, it can affect any one of us. Having walked into the Maharagama Cancer hospital many a time and having witnessed the plight of travelling patients, it was felt as it were an obligation for us. For me personally, it's a form of giving back... I've been blessed to have been given opportunities throughout my life. This a small part of not only giving back monetarily but with self and effort. 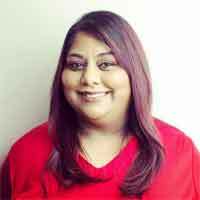 A hands on experience where we are lucky enough to be a part of something big," said Eshan. Director, Colours of Courage Trust and 2016 Trail Blazer Mr. Theagarajah decided to take part after witnessing the completion of the hospital in Telliplai built after the funds raised after Trail 2011. Theagarajah added "I have the seen the impact created on the citizens on the north by establishing the Tellipalai hospital. I have lost both my parents to this dreaded disease and I know how important it is for each of us to do our part in improving the quality of cancer care in our nation." There is no doubt that Trail 2016 offers a profound opportunity for people to engage in the nation's fight against cancer. 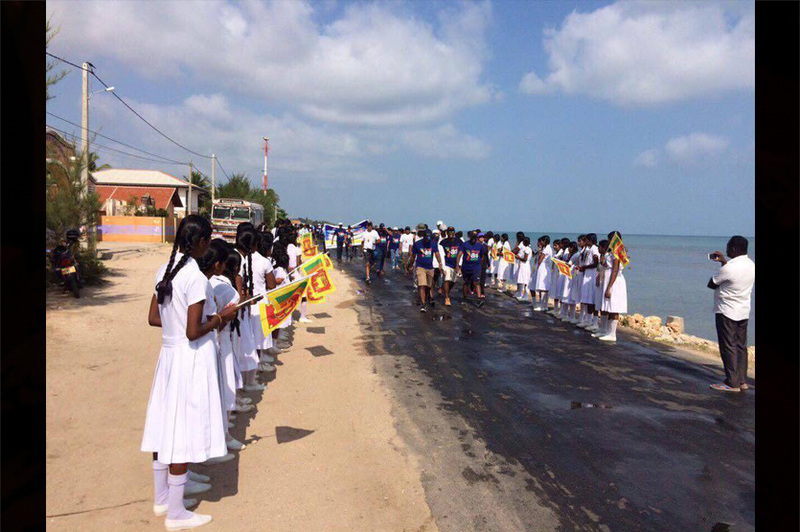 Each step the countless walkers take in their fight against cancer they are doing a huge service to the people of Sri Lanka by raising funds to fight this scourge. It is never too late for you to contribute. Visit www.trailsl.com for details on how to help.